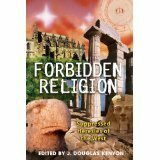 Following the model of his bestselling Forbidden History, J. Douglas Kenyon has assembled from his bi-monthly journal Atlantis Rising material that explores the hidden path of the religions banned by the orthodox Church--from the time before Christ when the foundations of Christianity were being laid to the tumultuous times of the Cathars and Templars and the Masons of the New World. Revealed in this investigation of the roots of Western faith are the intimate ties of ancient Egyptian religion to Christianity, the true identities of the three magi, the link forged by the Templars between early Christianity and the Masons, and how these hidden religious currents still influence the modern world. This book serves as a compelling introduction to the true history of the heretical religious traditions that played as vital a role in society as the established faiths that continuously tried to suppress them. Born in the same religious ferment that gave birth to Christianity, these spiritual paths survived in the “heresies” of the Middle Ages, and in the theories of the great Renaissance thinkers and their successors, such as Isaac Newton and Giordano Bruno. Brought to the New World by the Masons who inspired the American Revolution, the influence of these forbidden religions can be still found today in “The Star Spangled Banner” and in such Masonic symbols as the pyramid on the back of the dollar bill.